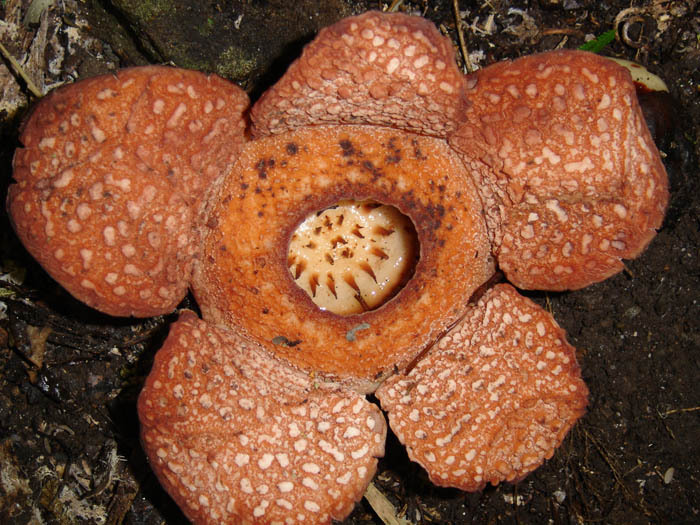 This Rafflesia species is named after Danilo Balete who first discovered and collected it. Barcelona, J. F., M. A. O. Cajano, and A. S. Hadsall. 2006. 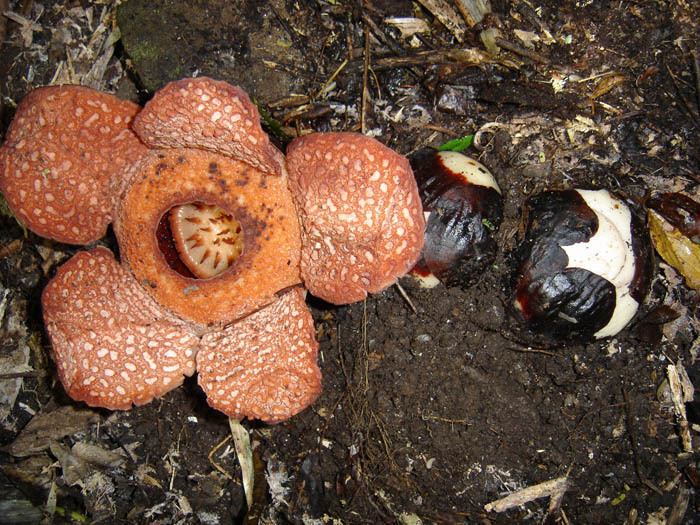 Rafflesia baletei, another new Rafflesia (Rafflesiaceae) from the Philippines. Kew Bulletin 61: 231-237. It appears that the first collection of R. baletei was by D. Balete in 1991 in the Bicol Region of southern Luzon. The collection was not recognized as a new species until further field work confirmed that this taxon was different than R. lagascae. The above authors have since studied several new populations in the Camarines Sur Province [Mt. Isarog and Mt. Asog (or Mt. Iriga)] in the vicinity of Buhi and Iriga City. Despite the article in the Philippine Daily Inquirer by J. Escandor who states that a "certificate was given during a meeting Tuesday at the National Museum's office in Manilla" for the name R. irigaense, this does not constitute valid publication of that name. 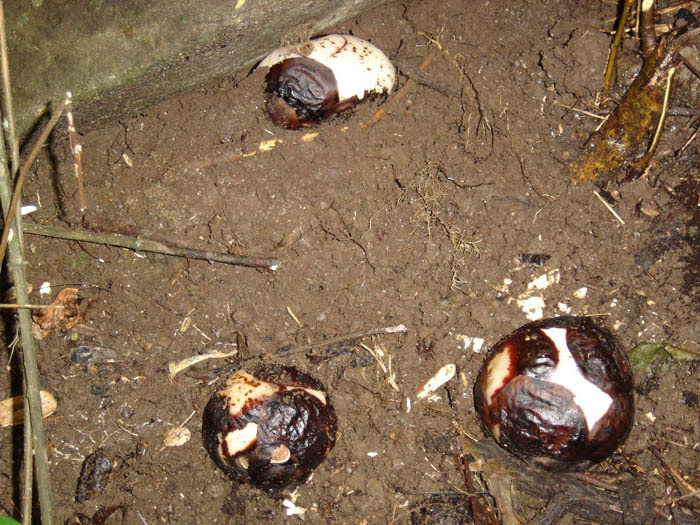 Moreover, the Haribon Foundation website page (HERE) which states that a group of researchers from the Camarines Sur State Agricultural College have proposed the name Rafflesia irigaenses [sic] is erroneous. From a strict nomenclatural standpoint, this taxon is properly referred to as R. baletei (i.e., that is its valid name). Open flower. Note that although this species is approximately the same size as R. lagascae it differs from it in a number of features such as the relatively closed diaphragm and the absence of pronounced white dots inside the perigone tube. Photo by Mary Ann Cajano (University of the Philippines Museum of Natural History). Open flower next to two floral buds. This species parasitizes Tetrastigma cf. magnum and the parasite here is infecting its roots. Unlike R. lagascae, flowers of R. baletei have never been observed to emerge from aerial portions of the host stem. Photo by Mary Ann Cajano. 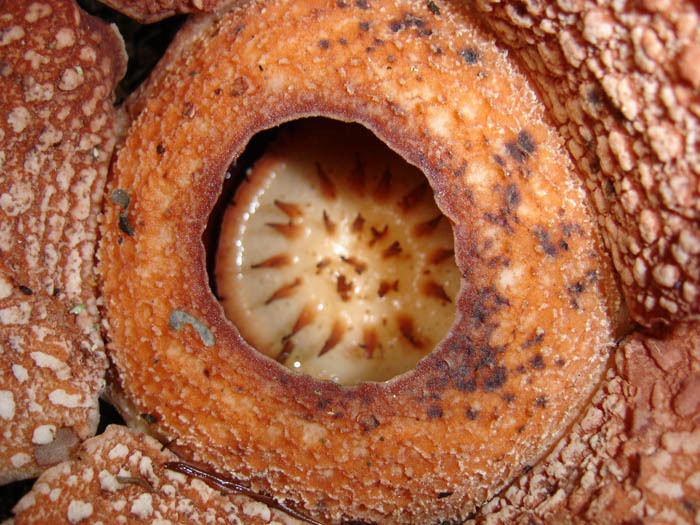 Close-up view through the diaphragm showing the flower's central column. If this were R. lagascae the diaphragm would be so open that one could see the inner surface of the diaphragm and perigone tube. Photo by Mary Ann Cajano. 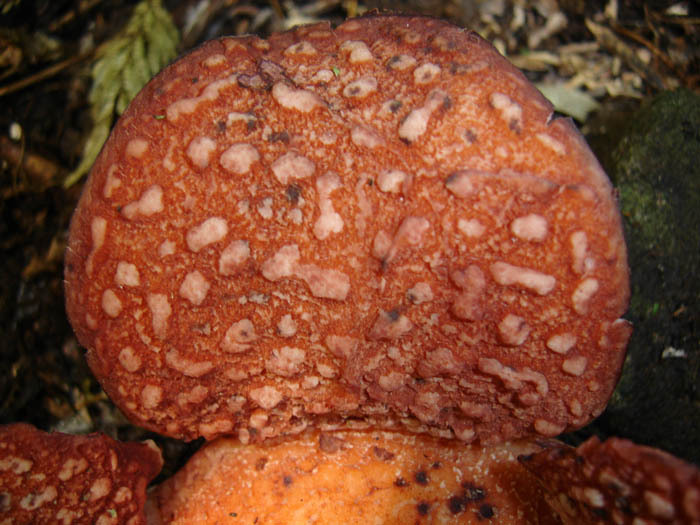 Close-up view of the pattern of warts on a perigone lobe. Photo by Mary Ann Cajano. Three floral buds. Note the bud in the background is essentially burried in the soil. This species emerges from both host roots and stems. Photo by Mary Ann Cajano.